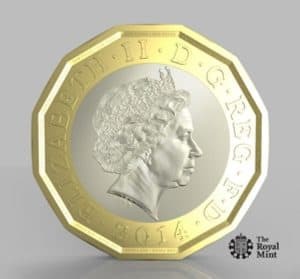 Motorists are being urged to pay for their parking online after it emerged that thousands of ticket machines can’t accept the new 12-sided £1 coin. More than a quarter of the 100,000 parking machines in the UK have not been updated and will therefore reject the new coin, according to the British Parking Association. Around 300 million new £1 coins have been issued to cash centres around the UK, which is roughly a fifth of the 1.5 billion planned to enter circulation before the end of the year. It is likely to take until June for all parking machines to be updated to accept the new pound coin. Harrison Woods, managing director at YourParkingSpace.co.uk, believes that until all the machines have been modified, paying for parking online is the way forward. “[It] is likely to be extremely irritating for drivers who will be faced with the inconvenience of having to leave their car to go and change money or alternatively find somewhere else to park,” commented Mr Woods. He went on to say that drivers can avoid frustration and possible delays by reserving their parking in advance online securely at YourParkingSpace.co.uk.